Dustienne Miller. At risk of sounding a bit creepy, I will admit that I have a huge “girl-crush” on this phenomenal woman. I remember about 5 years ago I came across her brilliant work as I was starting to travel around to teach PhysioYoga workshops for optimizing pelvic health. Dustienne is a board certified women’s health physical therapist, Kripalu-certified yoga teacher, AND a professional dancer. She integrates her love of movement with physical therapy and yoga to help men and women who suffer from pelvic floor pain and dysfunctions. Dustienne is the creator of a video series that uses yoga postures and breathing techniques to navigate pelvic pain and incontinence: Your Pace Yoga: Relieving Pelvic Pain and Your Pace Yoga: Optimizing Bladder Control. I have been tremendously inspired by these videos and I recommend them to my patients and students regularly. Me: Let’s start with your inspiration. What prompted you to create these videos? Dustienne: The videos were really born out of a true need for my patients. In 2011 I was working in NYC at Beyond Basics Physical Therapy, and I found myself giving my clients yoga home programs in stick figure form. I realized there was a massive void in video programming available and recognized the need for something to work with at home. Carryover between sessions and after discharge from physical therapy is sometimes a missing link in rehab. Yoga can be an important aspect of the patient’s home program and used for maintenance. I created a program my patients could use at their own pace, in their own space. Me: Ahh, hence the name, “Your Pace” yoga! So, who are these videos designed for specifically? Dustienne: These videos are ideal for anyone experiencing chronic pelvic pain and/or pelvic dysfunction (endometriosis, incontinence, vulvodynia, constipation etc) who also know the importance of self-care in the healing journey. Empowering my patients is one of my goals. It’s so important for people to have a strategy in place to supplement the clinical work and manage flare-ups. Feeling out of control and unable to help yourself is a common feeling for people with chronic pain, which of course ramps up the fight-or-flight response. This is why I loving having a tool for them to have at home. Me: It’s so essential for people to be able to take control over their own care. How do you find your videos are different from what’s already out there? Dustienne: Where some material might be a one-size-fits-all approach, I designed my program to be adaptable. Every individual experiences pain in a different way – both physically and emotionally – and I’ve built in options for viewers to move at their own speed and comfort level. Additionally, I believe that education is helpful to navigating through pain in your body, so I’ve made it a point to explain things anatomically. Penelope the Pelvis has a featured role in my video series! Me: Oh yes, I’ve met Penelope on your videos! She’s a fabulous professor! So, how do the videos help people? Dustienne: The videos guide people through pain-free, gentle movement that rewires the brain. The increased body awareness and softening that the poses encourage help change pain from being the predominant expected sensation. Getting the brain “on board” with moving freely and without fear is a huge part of healing. Breathing techniques are integrated with the yoga postures, which helps calm the sympathetic nervous system, reduce stiffness and enhance the relationship of the diaphragm to the pelvic floor muscles. Me: Are there any limitations to using your videos? Dustienne: Like any exercise program, variety of movement is ideal. This is why I encourage people to use your pelvic floor PhysioYoga videos as well. The body appreciates different movement patterns and planes. This is also why I just finished filming new video content that will be released in a few months. I look forward to being able to offer people around the world more options. In regards to the limitations of using yoga home programs, it’s not 100% geared to the person’s specific needs. As a physical therapist I appreciate exercise prescriptions being tailored, but at least the video is a good place to start with guidance by the appropriate provider. Me: I’m super excited for your new videos! People tell me how much they value and enjoy your current videos; particularly your calming voice and your clear, easy to follow instructions. What kind of feedback have you received? Dustienne: It’s always really rewarding for me when people say that the videos or meditation has been a useful tool for feeling more in control of their lives and pelvic health. I’ve had some wonderful feedback come into my inbox and I appreciate when people take the time to reach out. Sometimes it can feel like a vacuum. When you teach class you get immediate feedback, so it’s nice to get virtual feedback. Me: Anything you would improve on or change if you could go back and re-create them? Dustienne: For sure. Like any creative project, there are loads of things I would go back and fix, but that is the challenge of creating a moment in time that gets frozen and is unchangeable. That is why I love the theatre – it’s a moment that will never be able to be reproduced in the same way again. If I say something like “synovial fluid” (my patient just reminded me I said in the video) and I don’t want to say it the next time I teach a class, I can change it. The permanence of being captured on video is quite intimidating. Me: That’s so true. I love how you just related that to your passion for theatre! Now just for fun – one last question. If you could do anything in the world, and money was no object, what would you do for one day? Dustienne: I love this question! Just one day? I would arrange for my friends from the Fosse tour to get to NYC and run the show in our old rehearsal room. My friends organized this when I left NYC for CA and it was the most spectacular going away/birthday party a gal could ask for. Then reminisce and laugh over a delicious meal. If I had a little longer, I’d fly me and my girlfriends to Europe! Me: Well that sounds incredibly fun! I think you should do it. Ok, well now I just want to ask you more questions about your time in NYC, moving to California, then back to Boston, and your theatre career!! I have so many more questions for you, but we should sign off. We’ll have to do a part two of this interview. How about we do a LIVE video chat when we see each other at the World Congress on Abdominal and Pelvic Pain in October in Washington, DC? Dustienne: YES! That sounds great, I’m in! I’d like to thank Dustienne for sharing her inspiration, expertise and work with us. I’m a huge “fan” of Dustienne’s work AND appreciate her big giving heart and soul. She has supported me and many of our colleagues along our paths. Basically, she simply rocks. I highly recommend her work and her videos. I’m stoked for her NEW VIDEOS to be launched soon. Sign up for her newsletter here, so you’ll know when they’re available. She also has so many valuable FREE resources available that you can access readily. As practitioners, both Dustienne and I believe passionately in guiding and empowering you to heal your body and soul so that optimal health can be achieved. Each of you can be a fierce advocate for your own healing, and we hope to provide the tools to create a joyful, thriving and fulfilled life! About Dustienne: Trading the skyscrapers of NYC for the hills of Sonoma County, Dustienne set up her clinical practice in Santa Rosa in 2012. After a wonderful year filled with sunshine and amazing food, she moved to Beantown to be closer to her family. Her clinical practice is located in lively Copley Square, right on the Green Line. She is a board certified women’s health clinical specialist recognized by the American Board of Physical Therapy Specialties. Dustienne weaves yoga postures and breathing into her clinical practice, having received her yoga teacher certification through the Kripalu Center for Yoga and Health. Dustienne had the honor of speaking at the Combined Sections Meeting of the American Physical Therapy Association in 2013. Her lecture, titled “Yoga for Pelvic Pain,” was met with such enthusiasm that another session was added to accommodate her interested colleagues. Her love of movement is apparent not only in her physical therapy and yoga practice, but also in her career as a professional dancer. Dustienne danced professionally in New York City for several years, most notably with the national tour of Fosse. She bridged her dance background and physical therapy working for Physioarts, who contracted her to work backstage at several Broadway shows and for Radio City Christmas Spectacular. Dustienne passionately believes in the integration of physical therapy and yoga in a holistic model of care, helping individuals navigate through pelvic pain and incontinence to live a healthy and pain-free life. 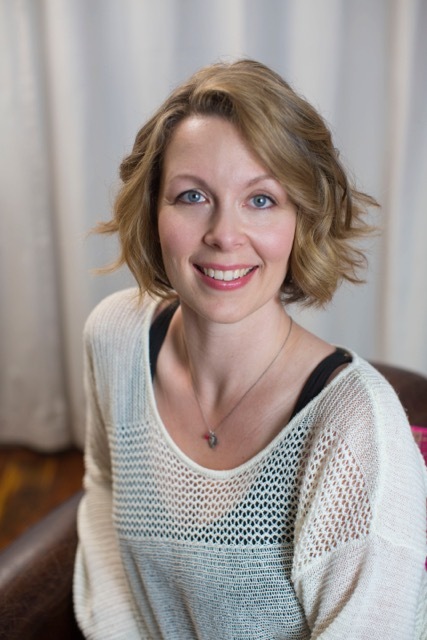 She is the creator of the DVDs Your Pace Yoga: Relieving Pelvic Pain and Your Pace Yoga: Optimizing Bladder Control. 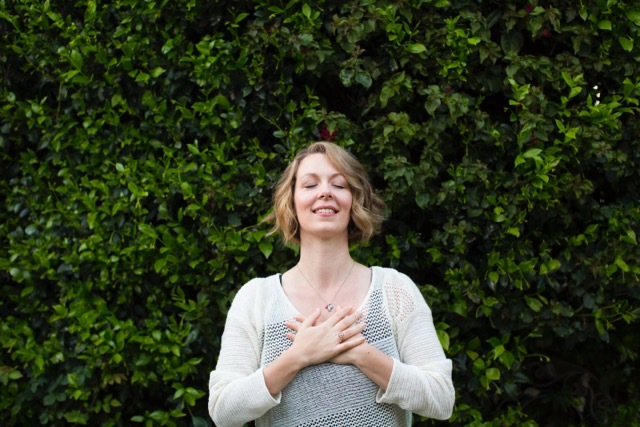 Check out her website, Your Pace Yoga, where you will find her blog.